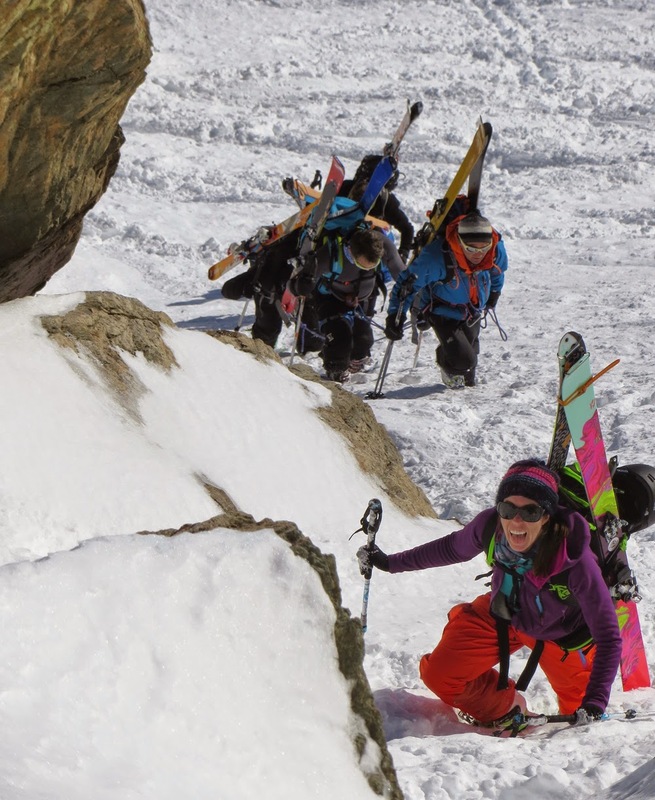 Holly Walker brings her BC bootpack style to Glacier Mort in Chamonix. 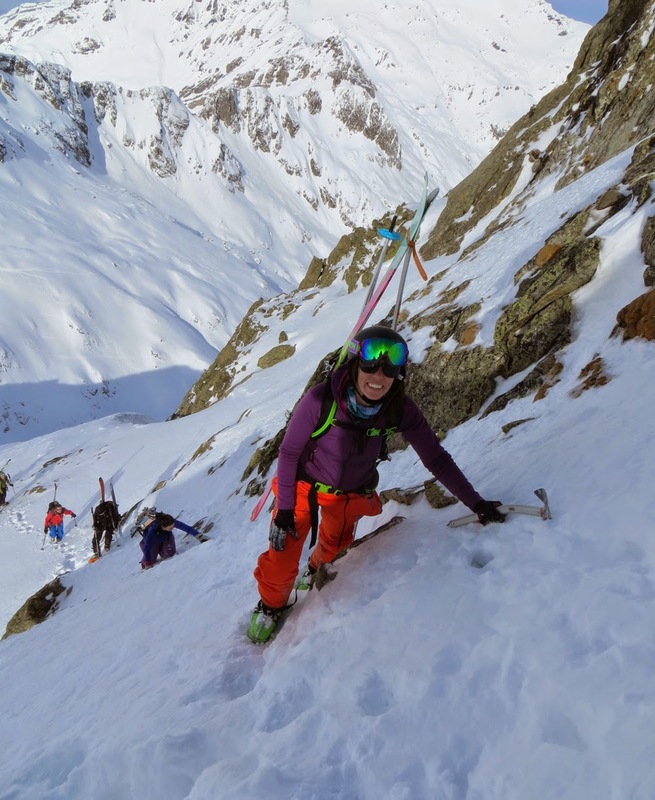 Last January I had the opportunity to jump on a plane and cruise into Chamonix to meet up with fellow Mammut athlete Erin Smart. Weather was mixed and snow conditions were variable, so each day we looked at various options before leaving the breakfast table full of croissants with a side of café. 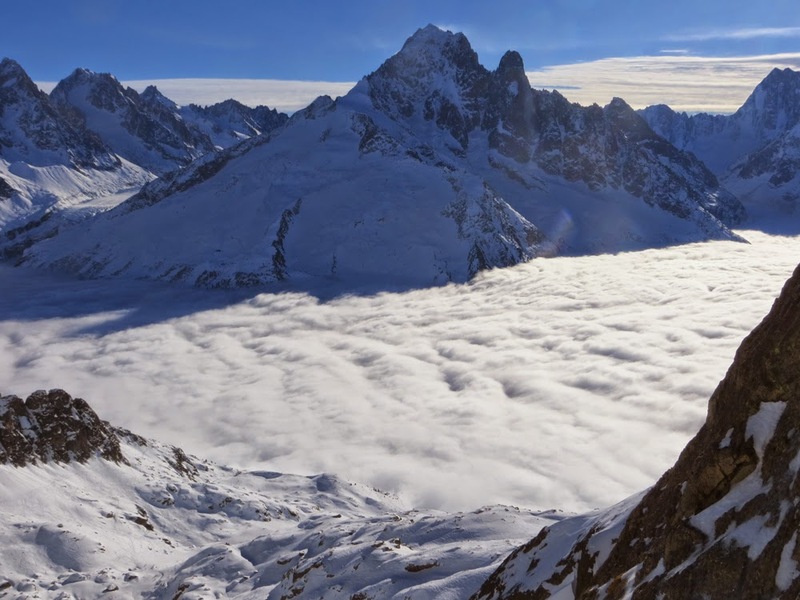 One morning in particular, Erin had the opportunity to work with Smart Mountain Guides off of the Aiguille du Midi and ski the Vallée Blanche. So I contacted Whistler friends Kate Covello and Tyler Collins to see what ski adventure they had lined up for the day. 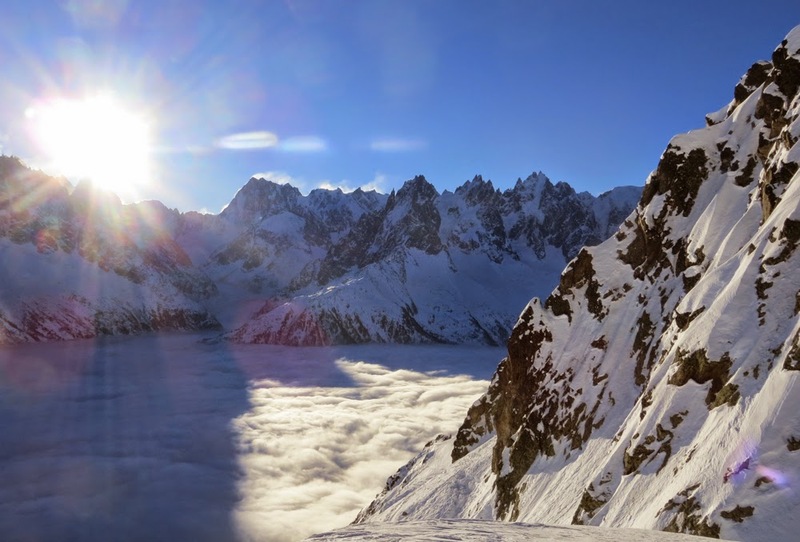 The couple had moved to Chamonix for a season to ski everyday and avoid the rain that plagued Whistler. The text read, "Meet top of Flegere tram. 10am." So I scrambled. 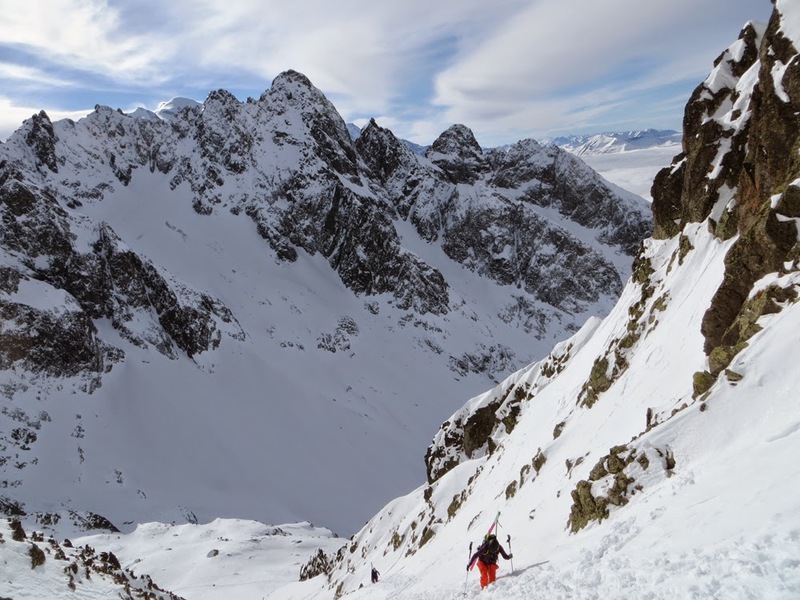 I got dressed in ski gear, packed my backpack with skins, crampons, harness, ice axe, first aid/repair kit and grabbed my skis and poles and hoped I hadn't forgotten anything. 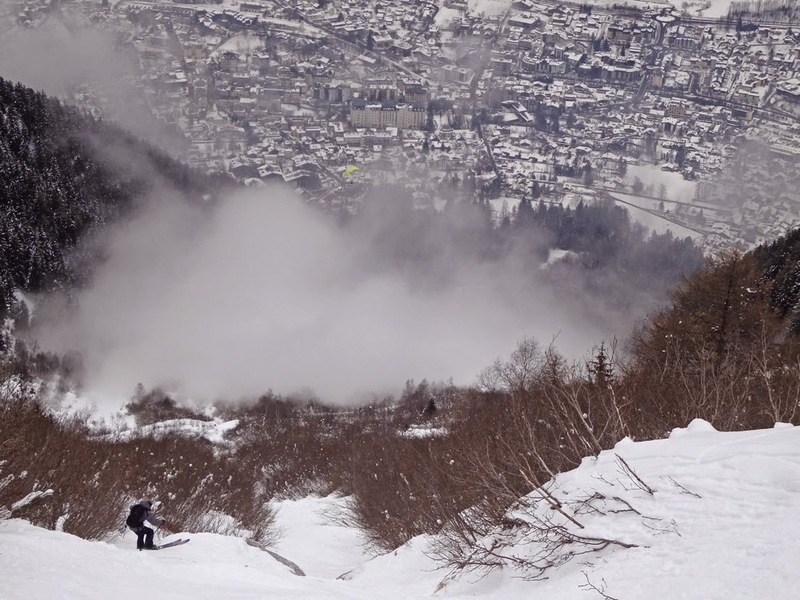 I ran in my ski boots to downtown Chamonix to load a bus labeled 'Les Praz/La Flegere' and bought a tram ticket. I loaded the telepherique de la Flégère in the thick clouds and unloaded in the beautiful sun - luckily I had remembered my sunglasses. With ten minutes to spare, I ordered an espresso and took in the view of La Flégère Kate and Tyler arrived right on the dot and we loaded the Index chair. They had already been skiing warm up laps and I was well caffeinated, so we continued on to the Floria poma and unloaded twenty meters from the skin track. 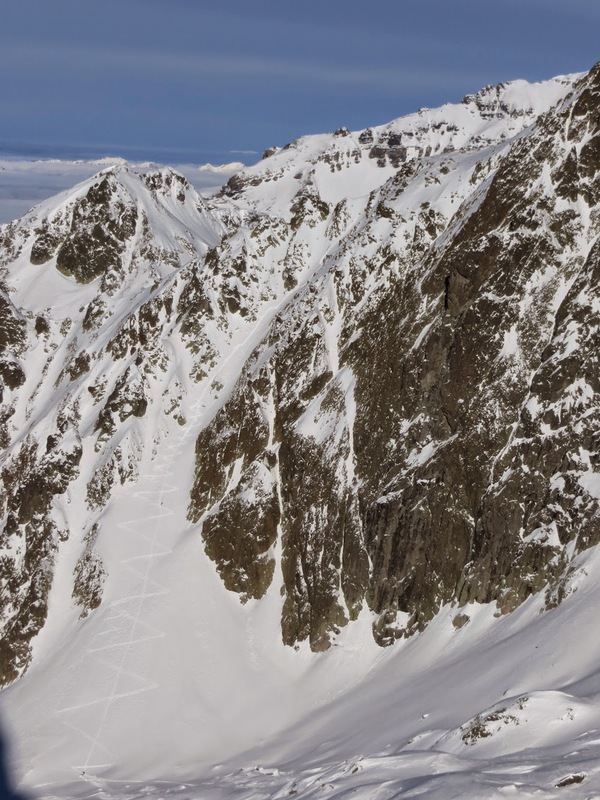 At least fifty people were already skinning up the Col des Aiguilles Crochues. Annoyed by the congested skin track and my constant slipping due to lack of ski crampons, I decided to bootpack; racing to get ahead of the crowd. 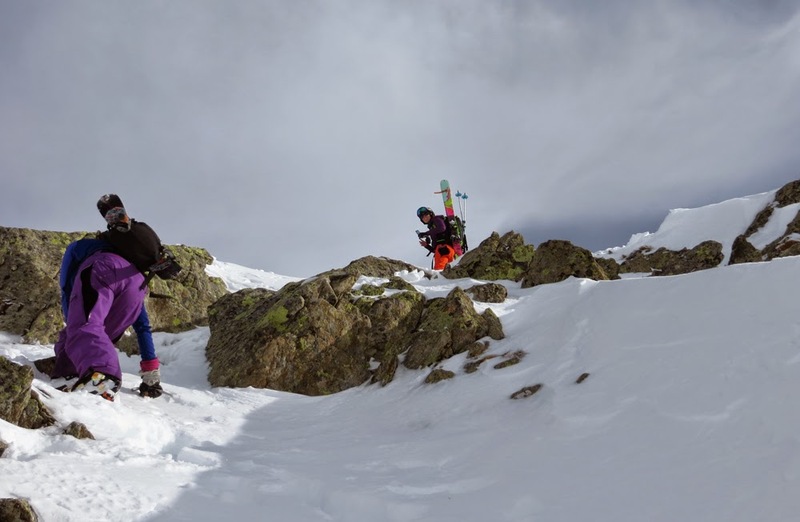 As Tyler, Kate and I reached the top of the Col des Aiguilles Croches, we didn't spare a moment as we wanted to stay ahead of the growing crowd. 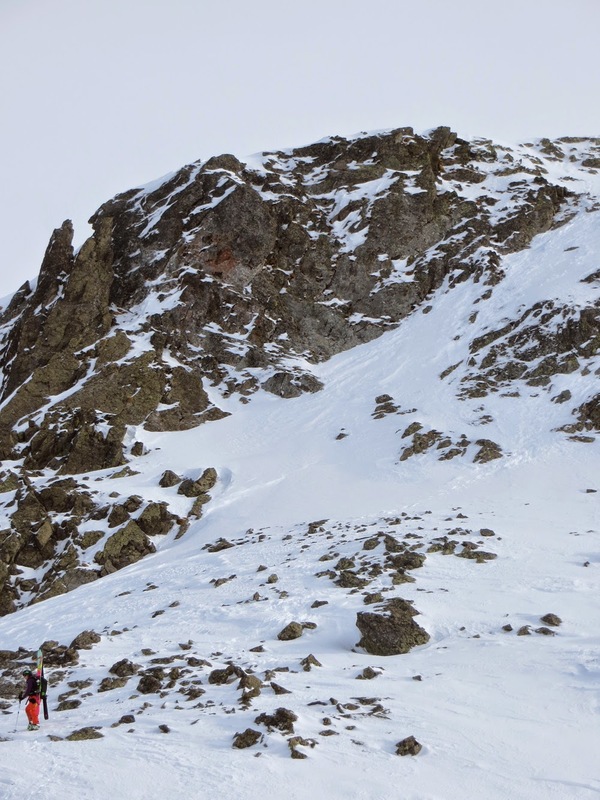 We raced traversing high to the skiers right, over to the south facing couloir that needs to be climbed to reach the summit of Pointe Alphonse Favre. Arriving at the transition point, a group of eight men were already putting on their skins and I decided not to stress about passing more people on the steep skin track. Instead I clipped on my crampons and I began bootpacking the face, using the Blackcomb bootpack style and passing all the skinning crowd. As I reached the summit at 2788m, the air seemed thin as I hadn't properly acclimatized to the French Alps. I munched on a Clif bar and sipped my first water of the day, realizing that I had forgotten to hydrate. My dizziness subsided as Tyler and Kate arrived and we clicked into our skis, descending down the north face to the right towards Glacier Mort and the Berard Valley. Tyler, Kate and I continued to ski one at a time, hopping the small crux of ice and rocks and continued skiing down to the left. 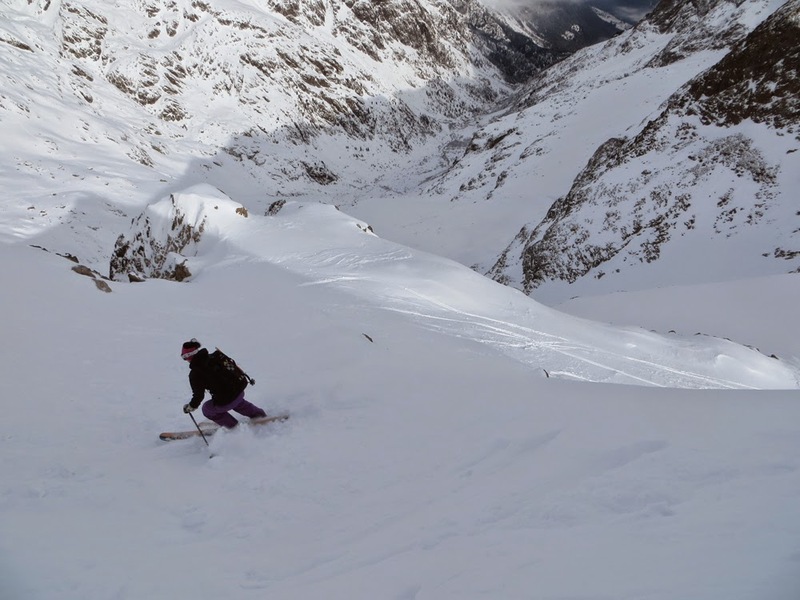 The snow was tracked yet still soft and deep enough to make the ski enjoyable. We only had 1450 meters to descend and kilometres to traverse before arriving at the quaint town of Le Buet. At the hotel bar, we sipped Duvel beers and nibbled on chips, discussing what tomorrow would bring. Once waiting at the train station for a ride back to Chamonix, we all sat quiet and smiling - content with the endless alpine possibilities. Skier and writer Holly Walker lives in Whistler when she is not traveling in search of perfect pow. She is sponsored by Mammut, K2, Clif Bar, Smith, POW and Mons Royale.